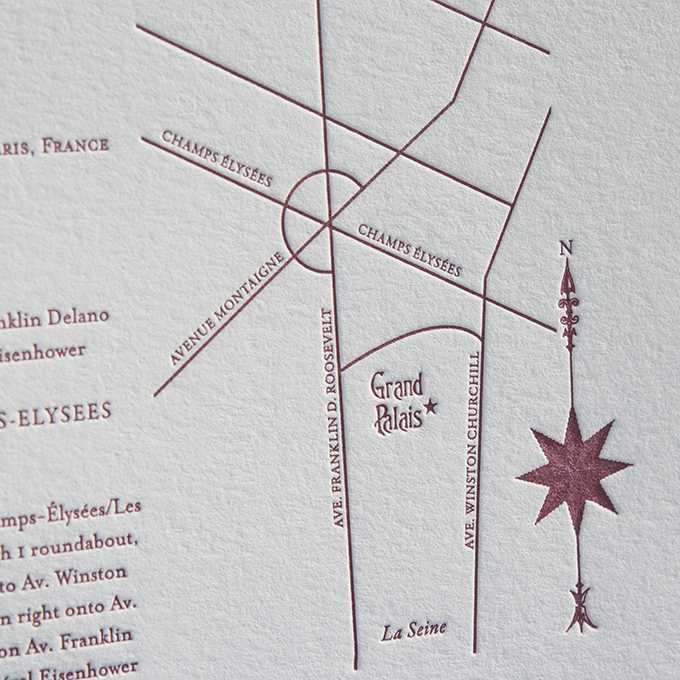 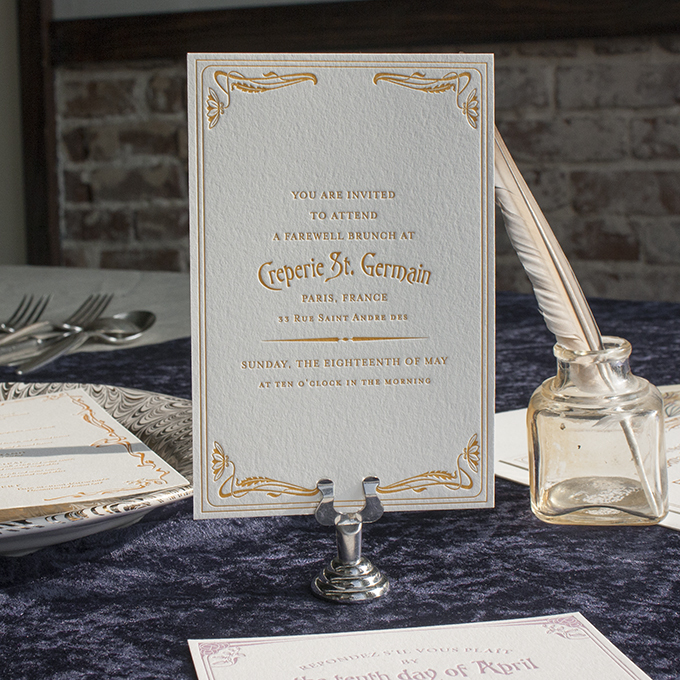 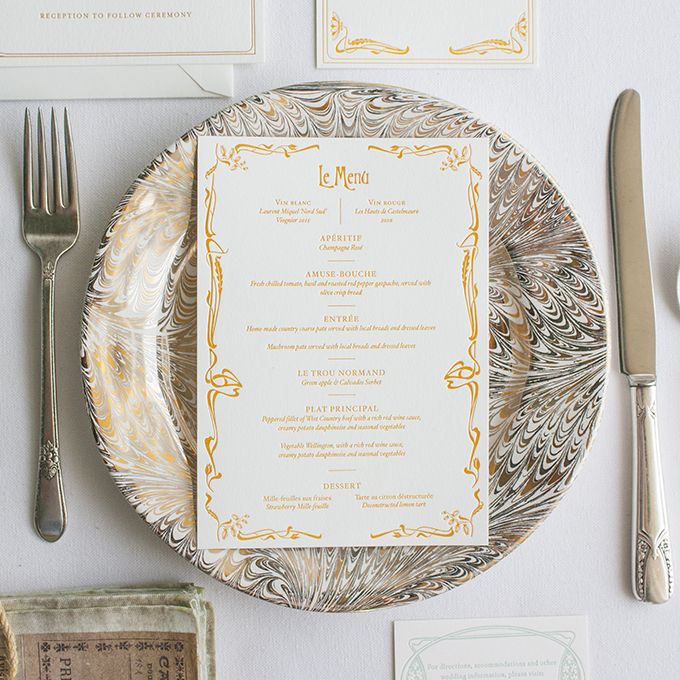 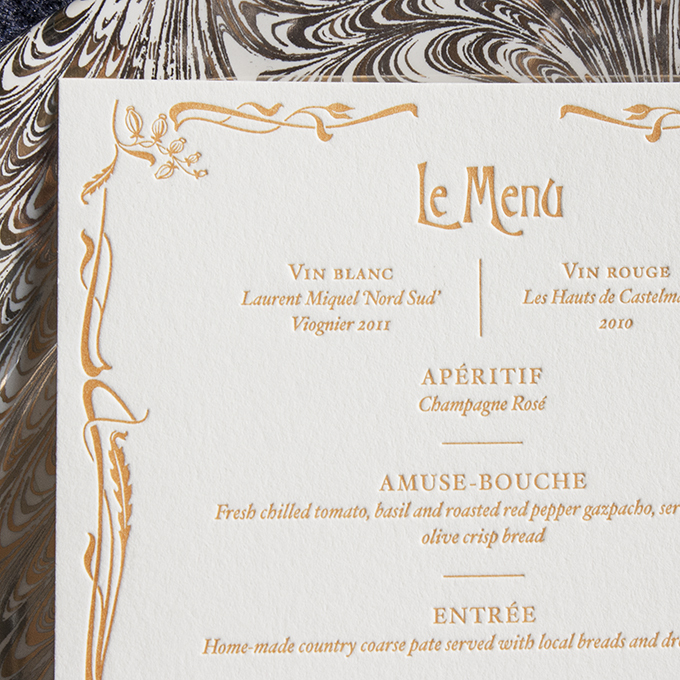 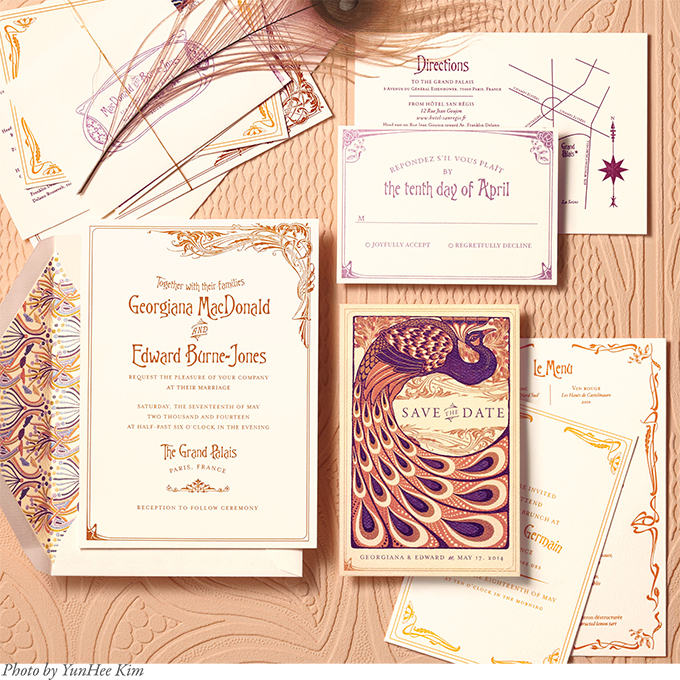 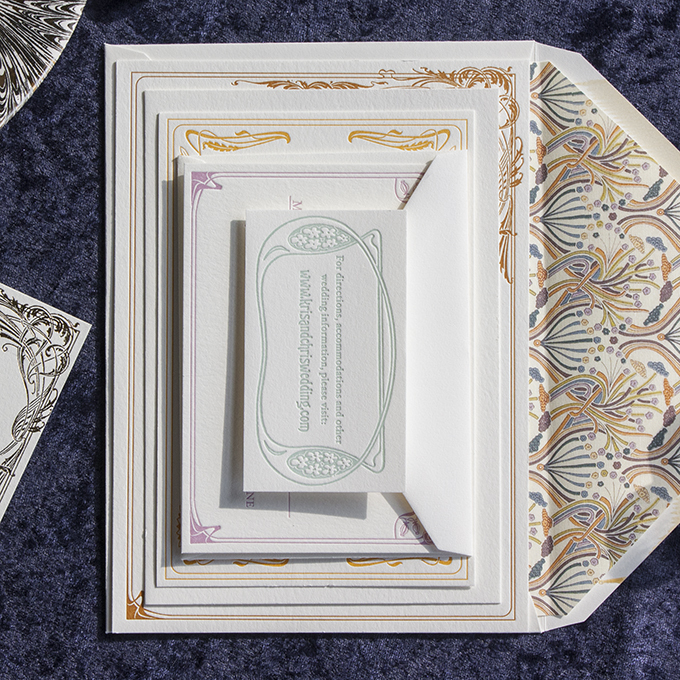 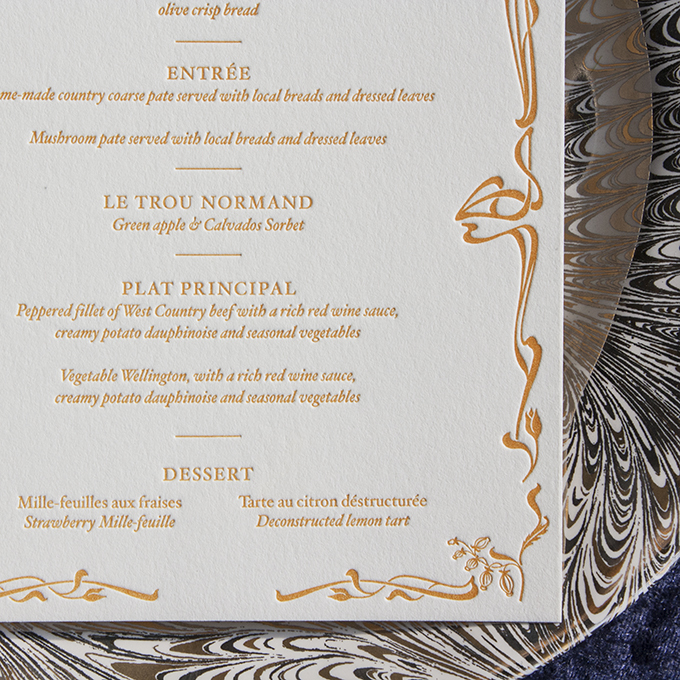 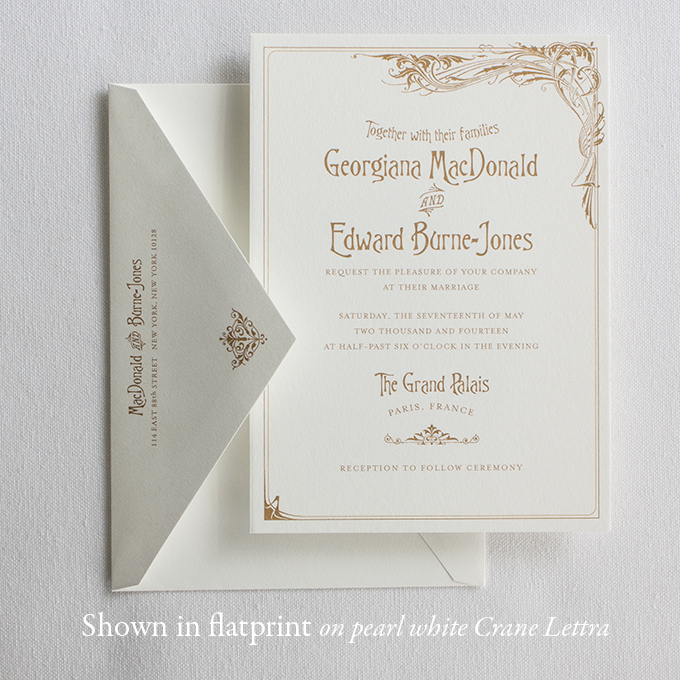 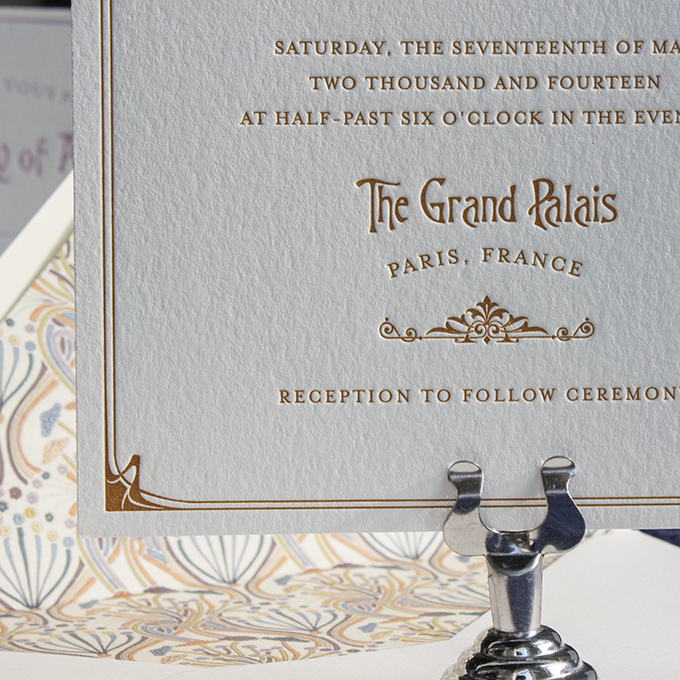 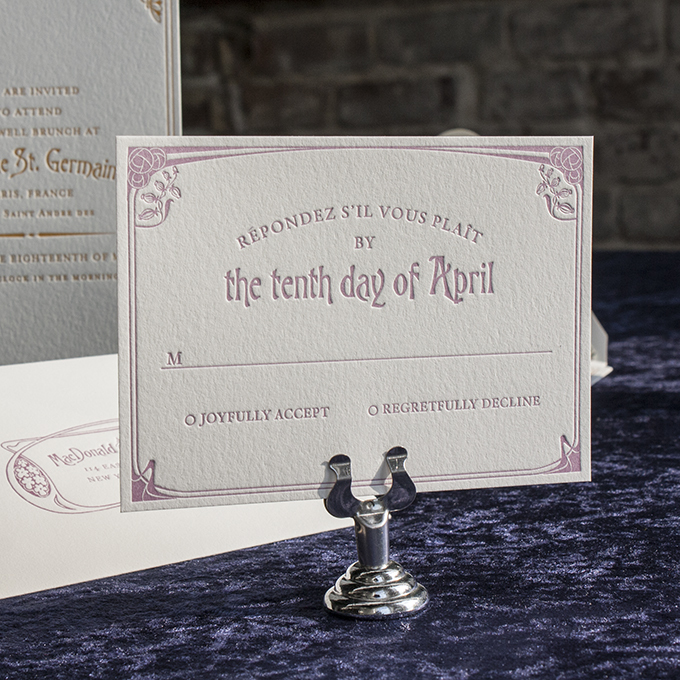 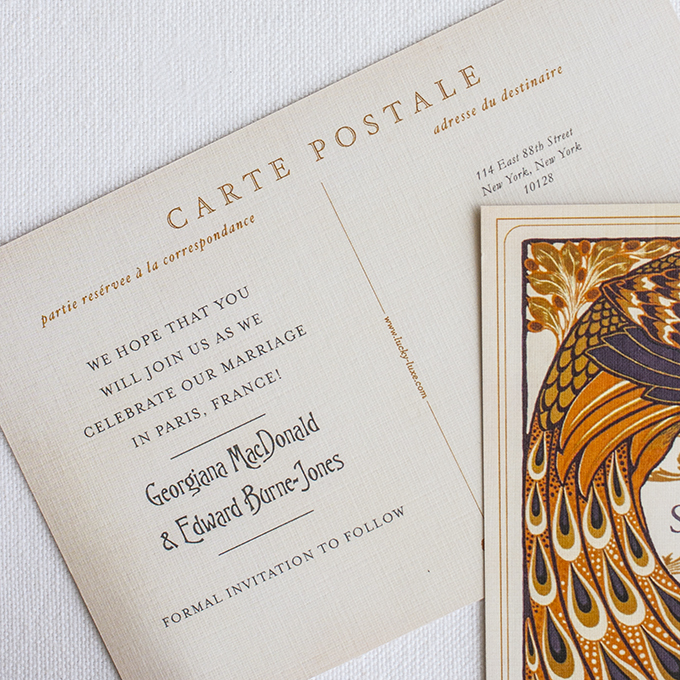 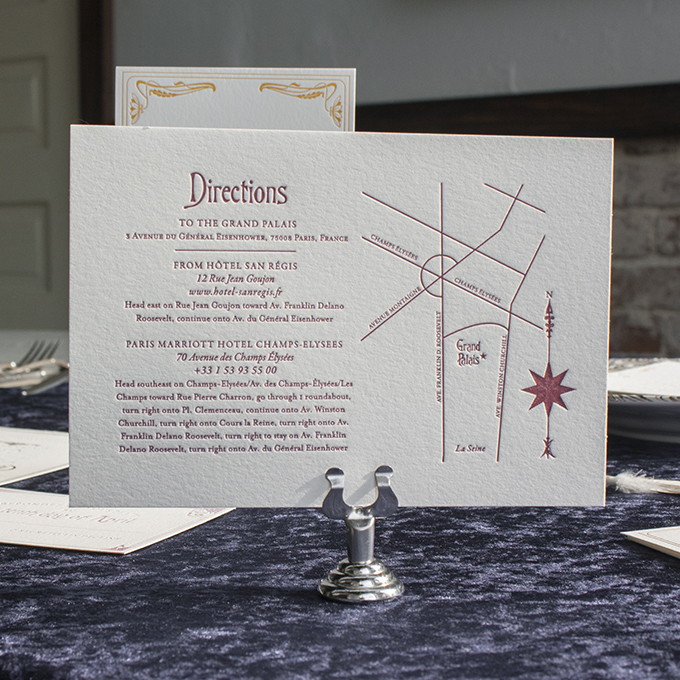 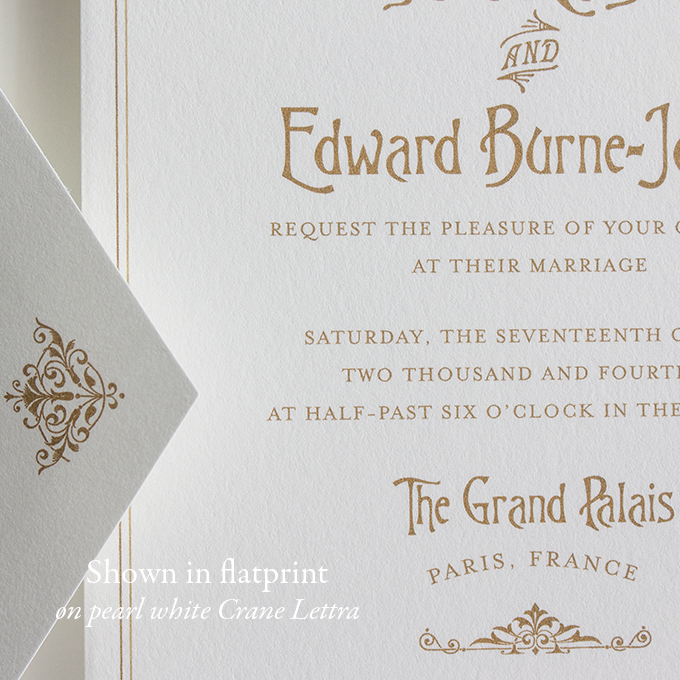 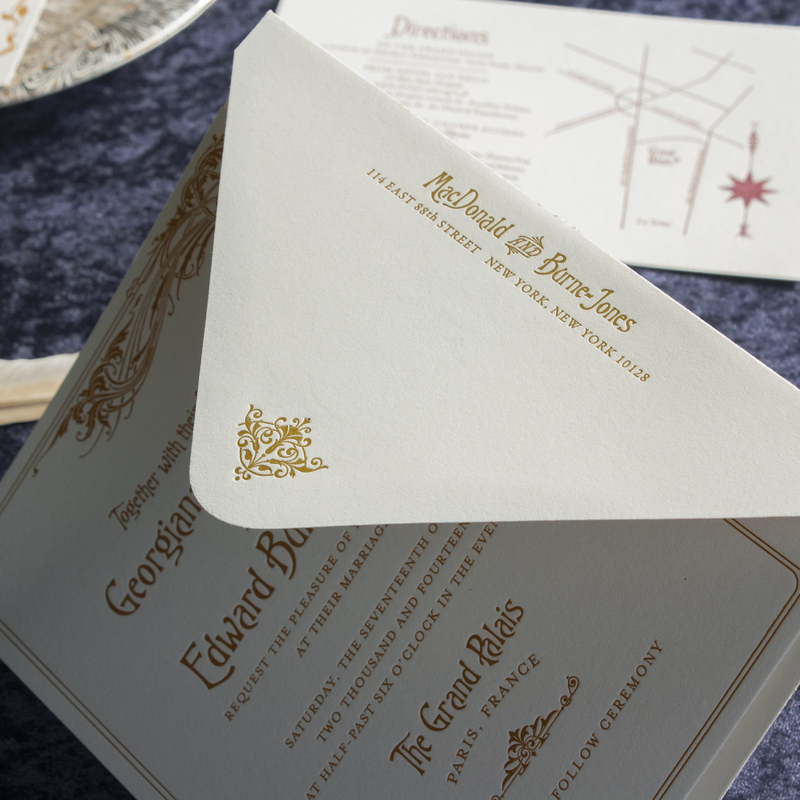 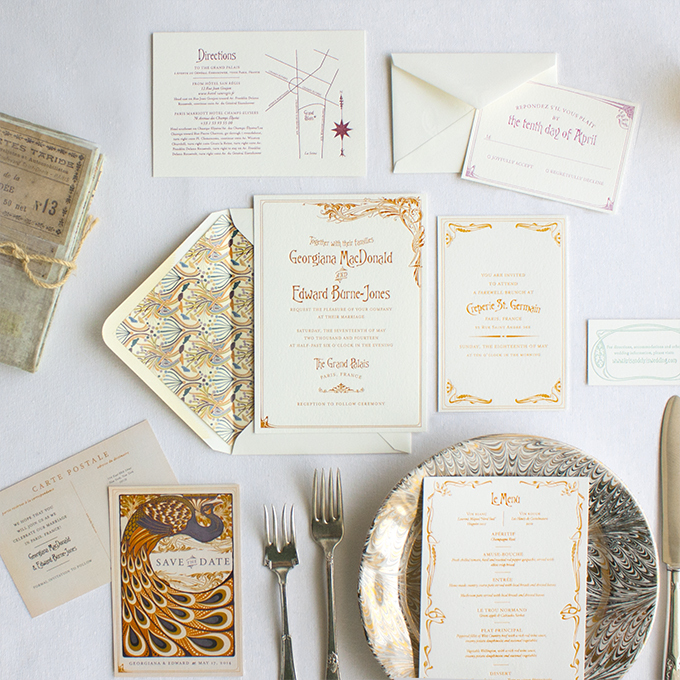 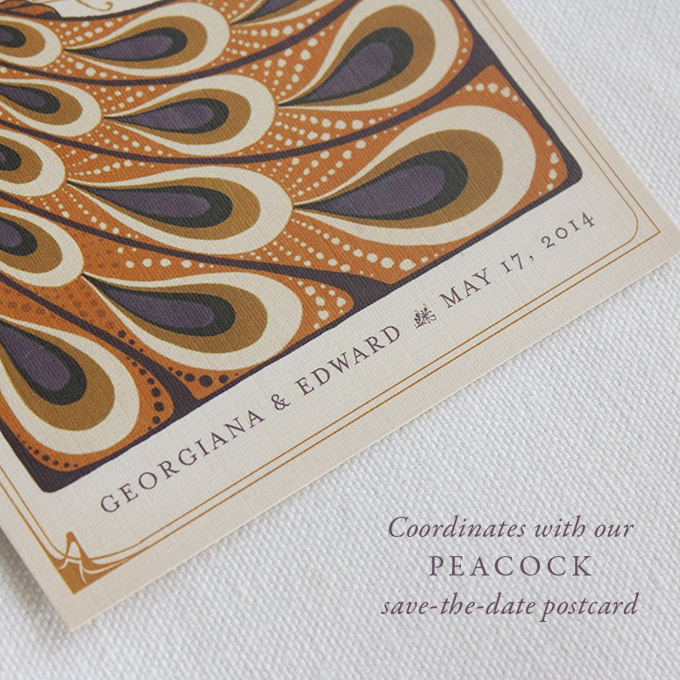 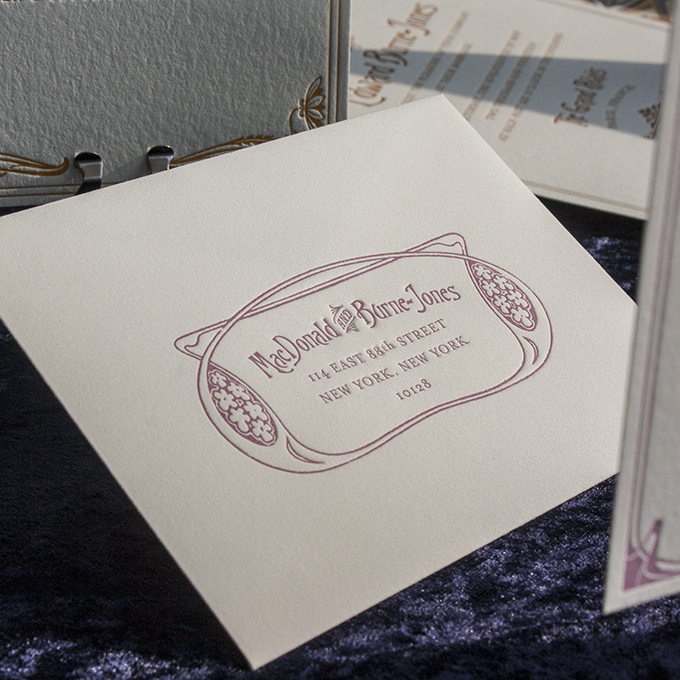 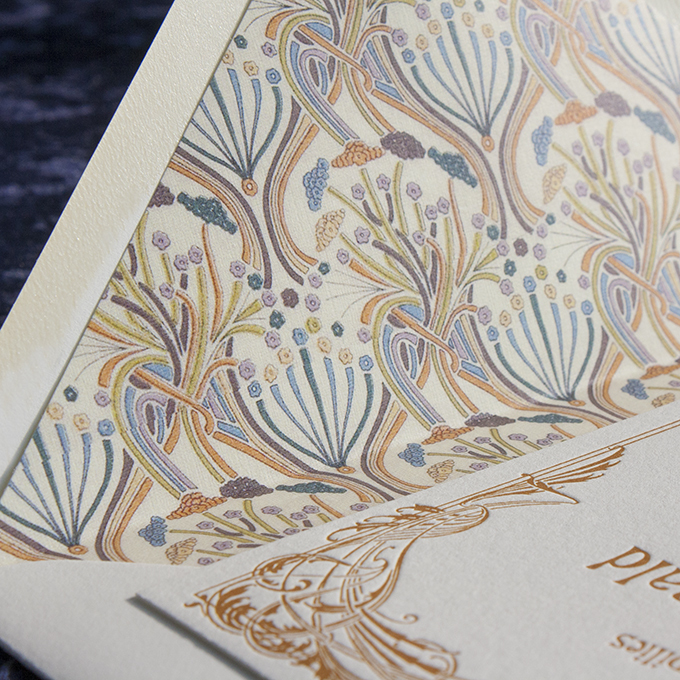 Like the swirling, intricate posters of French actresses of the late 1800s, this invitation is inspired by the art nouveau movement. 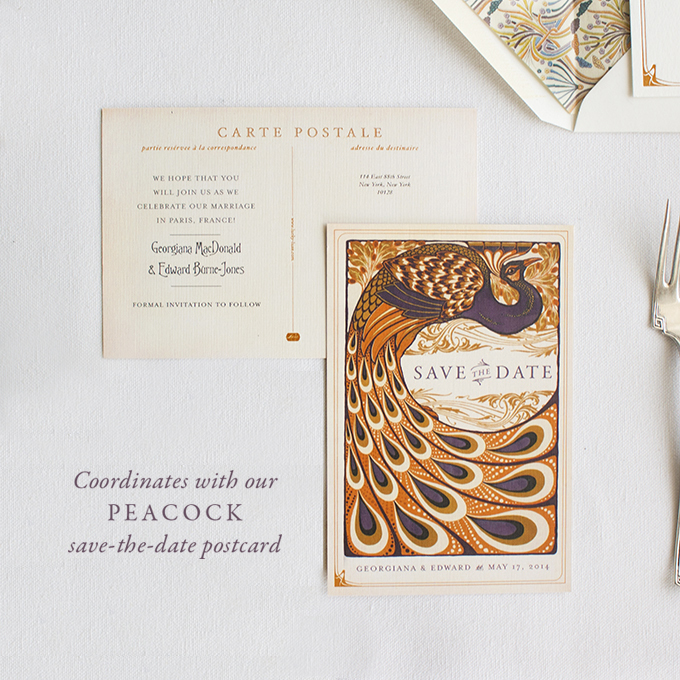 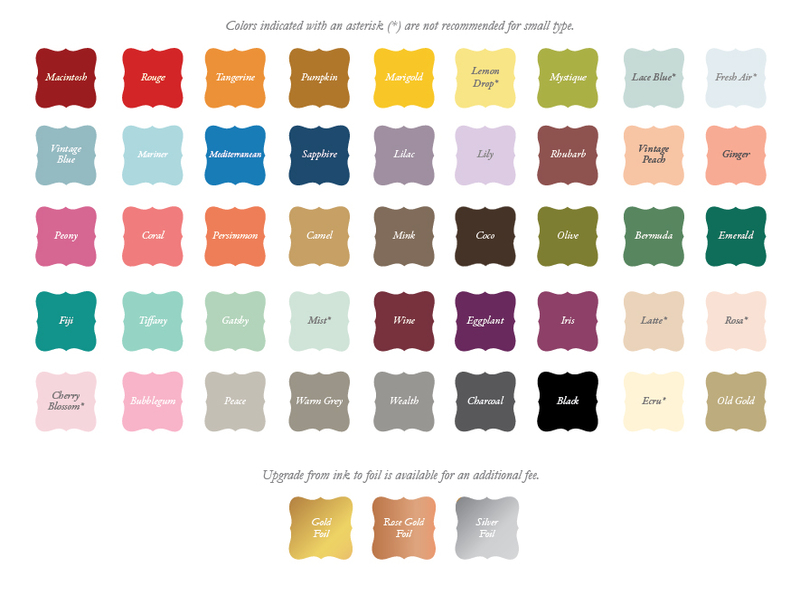 Bernhardt and Peacock were both originally designed for Martha Stewart Weddings magazine. 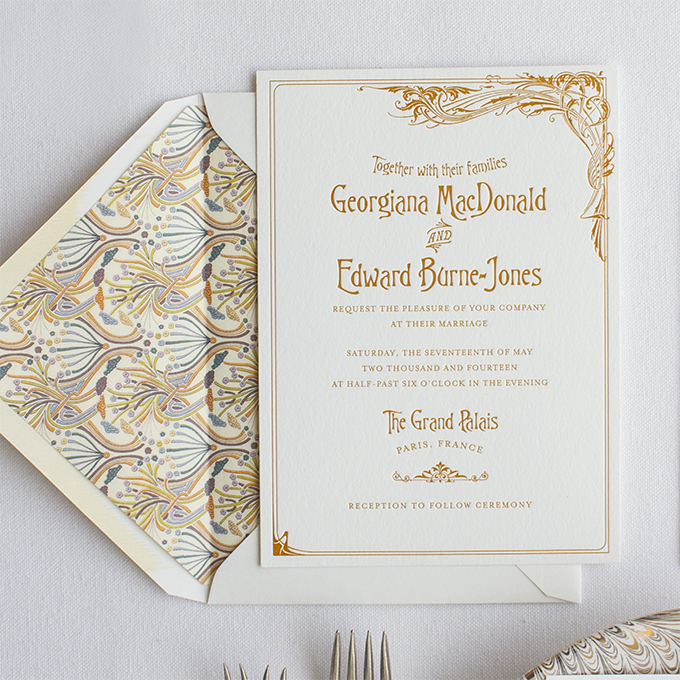 Click here to view our Pinterest wedding board inspired by Bernhardt!